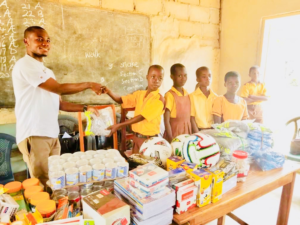 We are serious about educating our communities about Malaria; and have partnered with Dr. Linda Amoah and the Malaria Awareness Campaign in the coastal areas of Central Region of Ghana. The objectives of the Malaria Awareness Campaign is to educate communities of the dangers of the disease while highlighting preventative measures to avoid the spread of Malaria further. The programme encourages discussions on the steps to malaria elimination in these communities. We visited a small community of Simiw located near Ankaful, which was selected as Simiw exhibits high prevalence of asymptomatic malaria. 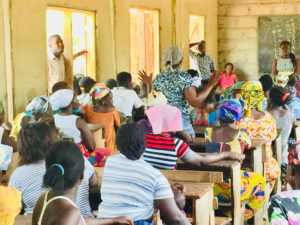 Simiw is fraught with lack in basic human resource needs – limited potable water where water is scarce, limited access to health care and woman health care. inqaba biotec™ presented items such as jerseys, footballs and stationary to support the local schools in the area supported by the Malaria Awareness Campaign under Dr Amoah. Generosity came in many forms as other partners provided further donations and contributions. 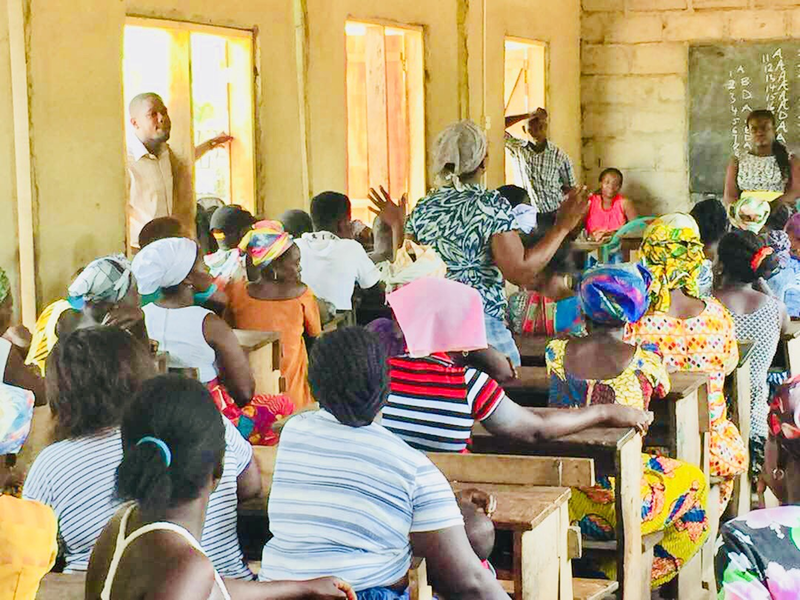 Although the support, message and community awareness were well received; we are elated to report that the community has engaged to fight against the spread of Malaria in close partnership with the Malaria Awareness Campaign. Interested in Dr Linda Amoah’s research?